Insignia are available for purchase by Members. See the Members Only section of the website for details. 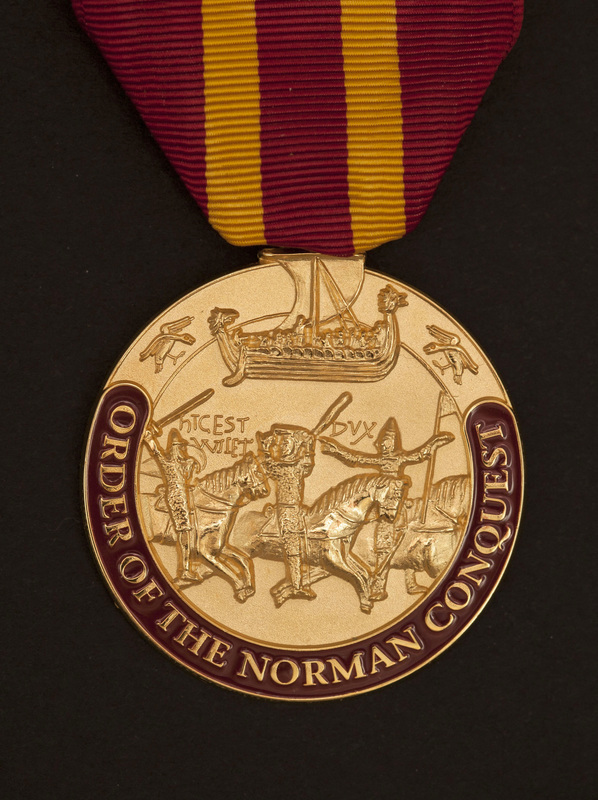 The ONC Insignia depicts a scene from the Bayeux Tapestry: Documentation of the Norman Conquest. 1. 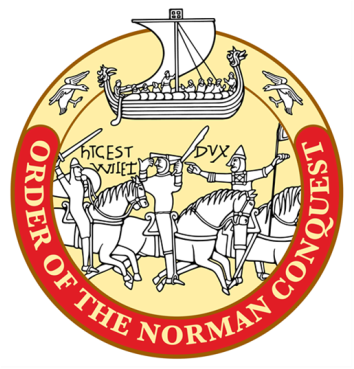 William acknowledging to his troops that has not fallen or died and to keep fighting; Eustace carries the banner given to him by the Pope to show his support for the Norman Invasion.